A brilliant memoir about how learning the piano shaped the lives of two women worlds and generations apart that will resonate for music lovers everywhere and for anyone who has tried to master the piano. Virginia Lloyd spent much of her childhood and adolescence learning and playing the piano and thought she would make a career as a pianist. When that didn't happen, she spent a long time wondering about those years of study: had they been wasted? What was their purpose? This intriguing memoir explores those questions and investigates the mystery of the author's very musical and deeply unhappy grandmother Alice, and how their lives--both at and away from the piano--intersected and diverged. Girls at the Piano also explores the changing relationship between women and the piano over the course of the instrument's history, taking us from the salons of 18th-century Europe to an amateur jazz workshop in Manhattan in the early 21st century. 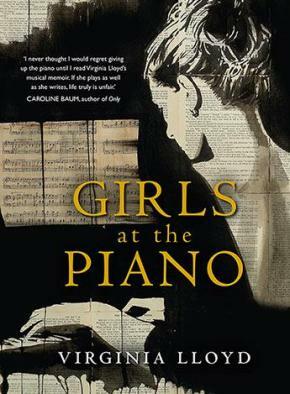 Funny, tender and fascinating, Girls at the Piano is an elegant and multi-layered meditation on identity, ambition and doubt, and on how learning the piano had a profound effect on two women worlds and generations apart. It is essential reading for music lovers everywhere, and for anyone who has undertaken their own voyage around a piano.